Stephen Van Rensselaer was the ninth and last patroon of Rensselaerswyck. 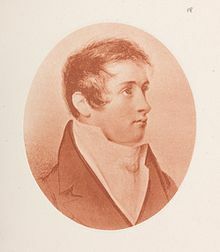 He was the son of Stephen Van Rensselaer III [1765-1839], the founder of Rensselaer Polytechnic Institute, and the general in command of American forces during the battle on the Niagara Frontier during the War of 1812. He was also the older brother of Henry Bell Van Rensselaer [1810-1864], a brigadier general and a United States Representative in the United States House of Representatives. Stephen Van Rensselaer IV was born on March 29, 1789 and passed away on May 25, 1868, at the age of 79, a long life at that time. He was married on January 2, 1813 to Harriet Elizabeth, daughter of William Bayard of New York City. Stephen graduated from Princeton University in 1808. He was the father of three children: Cornelia Patterson Van Rensselaer [1823-1850], Harriet Van Rensselaer [1838-1887], and Eugene Van Rensselaer [1840-1891]. During the anti-rent protests in 1839, he sold the Rensselaerswyck farms to the tenants who lived on them, and so ended the estate known as Rensselaerswyck, after it had existed for over 200 years. Stephen Van Rensselaer served in the New York Militia, and retired with the title of Major General. Little is known of the wartime activities he participated in. See the appendix at the end of the bio profile for Kiliaen Van Rensselaer [1595-1644] to see the relationship between the ten Van Rensselaers in this listing.